In excess of 54,000 downloads from this site alone, and over 115,000 downloads from the wii homebrew browser, and it’s available to download from a number of other places, so the true extent of its use is unknown! Rated over 4 out of 5 stars on the homebrew browser it is extremely popular within the wii homebrew community. 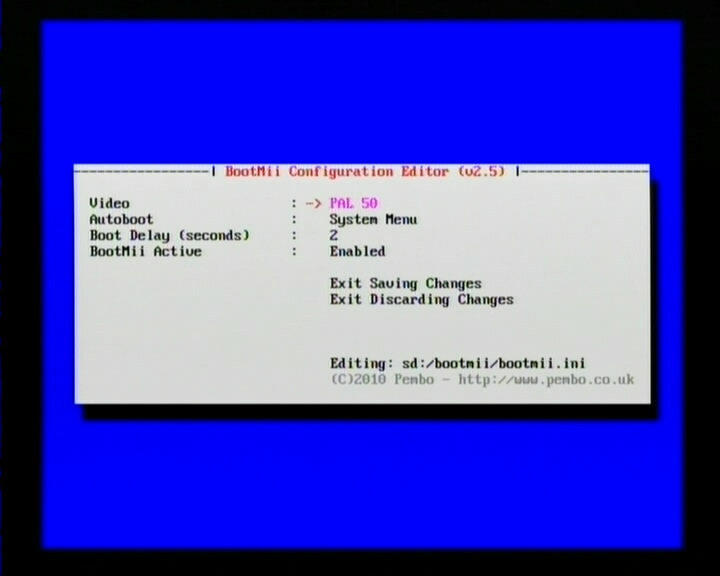 Featuring an online auto updater as well as running in 8 languages (English, German, Spanish, French, Dutch, Portuguese and Finnish) making it truly international, Bootmii configuration editor is one of my greatest personal development achievements and makes the configuration of a wii a much easier task than it otherwise would be for hundreds of thousands of wii homebrew users across the world.